Michael Soltis, pastor of Bridge Fellowship, a United Brethren church in Bowling Green, Ohio, is mourning the death of his father. Edward Soltis passed away February 28, 2017, in Erie, Pa. The full obituary is here. The funeral will be held at 10:30 a.m. on March 3 in Greenville, Pa.
Cards can be sent to Pastor Soltis at: 317 N Tarr St., Baltimore, OH 45872. W. J. Shuey and Daniel Flickinger. Moses sent 12 men across the Jordan River to spy out the Promised Land. The United Brethren Church was more efficient. We sent just three men, clear across the Atlantic Ocean, to spy out Sierra Leone. Three ministers from Ohio were appointed: W. J. Shuey, Rev. 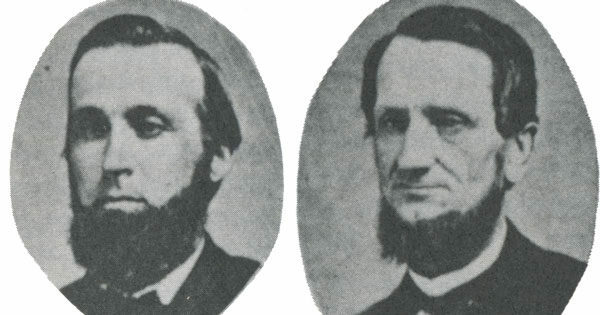 Daniel Flickinger, and D. C. Kumler, who was also a physician. They left New York on January 23, 1855, and arrived in Freetown on February 26, 1855. The men spent the next 88 days exploring southern Sierra Leone, looking for a place to establish a mission. They took many jaunts up rivers and along the coast, but couldn’t find a promising place to start. Until they came upon Mokelleh, a village of about 600 people. This would be the place. Their job had been to spy out the land. Shuey felt his job was done, and Kumler was sick, probably with malaria. So on May 3, they returned to America. But Flickinger wanted more than to spy out the land. He, like Caleb, wanted to possess the land. He stayed a total of 14 months, until April 1856. Mokelleh fell through, but Flickinger set his sights on a place called Shenge. All efforts to arrange anything with the local chief were rebuffed, but when Flickinger left for America in April 1856, he knew Shenge was the place. And when he returned to Sierra Leone eight months later, Shenge is where he started. In 1746, the German Reformed Church in Holland sent Rev. Michael Schlatter, originally from Switzerland, as a missionary to Pennsylvania. There weren’t enough German Reformed ministers to go around. So after five years in the New World, Schlatter returned to Europe to find more ministers. Schlatter started out in Holland, and then went to the Herborn Academy in Germany, where German Reformed ministers were trained. 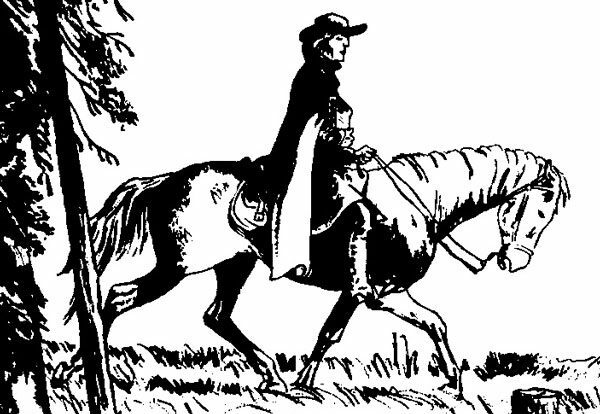 On February 25, 1752, he submitted a list of six ministers he wanted to take to America. On that list, apparently, was the name of Philip William Otterbein, who would become one of the founders of the United Brethren church. Schlatter and his six missionaries-to-be went to Holland, where they were examined and officially set apart as missionaries. (One of the original six backed out, but somebody else took his place.) Then, at the end of March 1752, their ship sailed for America. Four months later, they landed in New York. Rose May Lehner passed away February 21, 2017, in Caro, Mich. She was 98 years old. Rose and her husband, Rev. Paul Lehner, served 36 years in ministry. From 1947-1954, they were missionaries at the Laurel Mission in Big Laurel, Kent. They then pastored United Brethren churches in Michigan Conference until Paul retired in 1983. Paul passed away in 1991. In her retirement years, Rose continued her commitment to service by delivering meals for the Human Development Commission and volunteering for the Commission on Aging. She wrote two books and enjoyed painting China to be sold at craft shows around the state. Rose remained active at the Colwood Church as a Sunday school teacher and funeral meal cook, and was a member of the Women’s Missionary Association. She will be remembered for her kind and generous heart in a lifetime spent caring for others. Viewing Date: 3-7pm Sunday, February 26, 2017. Funeral Date: 11am Monday, February 27, 2017. Viewing one hour beforehand. Helen in younger years, and with daughter Maira (far right). Helen Villanueva was born February 24, 1918, in Belize. This highly-talented and capable woman made significant contributions to the United Brethren work in Honduras. Helen was the sixth and last child of James Elliott, a minister with the Wesleyan Methodist Church. In 1927, when she was nine years old, the family moved to Honduras to oversee six churches. In the 1940s, those churches became United Brethren–the start of our work in Honduras. Helen returned to Belize in 1943 and spent the next 14 years working as a nurse. George Fleming, the United Brethren missions director, invited Helen to serve at Mattru Hospital in Sierra Leone, but she was already committed in Belize. In 1957, Helen felt called to return to Honduras to work alongside her father. Two years later, she became pastor of the church in Puerto Cortes, and faithfully served there for the next 13 years. Along the way, she took in five Honduran children, adding to her own four children. One of them, Maira Raudales, went on to attend the UB Bible Institute, ran the conference bookstore, and became principal of the Bethel School. Her husband, Francisco, served 1997-2009 as superintendent of Honduras Conference. Helen also raised Benulda (Moreno) Saenz, who became a United Brethren pastor and married a United Brethren pastor. Together, Helen and Benulda started another church in Puerto Cortes and planted the first UB church in San Pedro Sula, the country’s second-largest city. Benulda pastored both churches, and went on to plant more churches and become a conference superintendent. In 1973, Helen went to work for the Honduras Bible Society, traveling and speaking throughout Central America, South America, and the Caribbean. 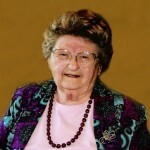 Then in 1981 she returned to her homeland to found and lead the Bible Society of Belize, from which she retired in 1986. This remarkable woman, Helen Villanueva, passed away in 2009. Jonathan Weaver, who served 24 years as bishop, was born February 23, 1824. He was the youngest of 12 children (6 boys, 6 girls). He grew up on a farm in Ohio, which was still frontier territory back then. He received little schooling, and never attended church on Sunday until he was 14 years old. The only preaching he heard came from Methodist or United Brethren preachers passing through the area. He became a Christian in 1841 during a camp meeting and became active in a United Brethren church. After a few years, he felt God’s call to the ministry. In 1845, he was placed on his first circuit of churches, and in the years ahead he served in various other locations–a couple years here, a couple years there. He also began rising in leadership. 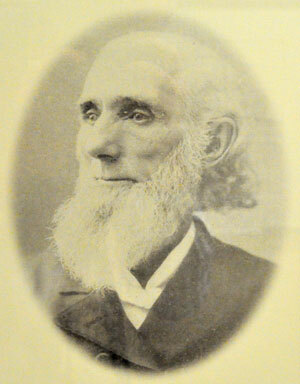 The 1861 General Conference elected Weaver as bishop of the Pacific District. Because of his large family–two children by his first wife, who died after four years of marriage, and nine children by his second wife–it didn’t seem practical to send him to the West Coast. So he resigned. But he was elected bishop again in 1865 and given oversight of churches in Illinois, Indiana, and Michigan. That would work. Altogether, Weaver was elected bishop seven times, serving a different district every four years–and changing districts every year starting in 1885. He was elected for the last time in 1889. But there, we part company. Our group split off that year, and though Weaver served another four years as bishop, it wasn’t as OUR bishop. That’s all we know about Peter Whitezel. We don’t know anything about his spiritual journey, how he became a minister, if he farmed on the side (probably), or anything else. Nor do we know how he died. It could have been an accident of some kind, or cancer. But more likely, he died from something which, today, would be treatable or entirely curable. Such were the times. Perhaps Peter Whitezel would have gone on to become a United Brethren leader, maybe even a bishop. 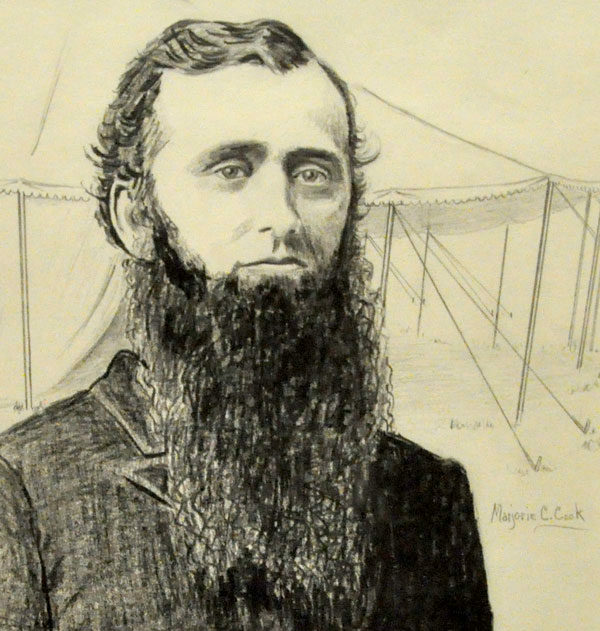 More likely, he would have spent his life just like thousands of other United Brethren ministers from the 1800s–continually traveling by horseback to remote communities, leaving a mark as he met with small groups of believers and non-believers, and eventually being joined in heaven by many people who were there only because of his influence. But something struck Peter Whitezel down at age 32. Similarly, numerous other ministers and spouses, not to mention missionaries, passed away too early. They served faithfully, and could have made significant contributions to the Kingdom…but it was not part of God’s plan. 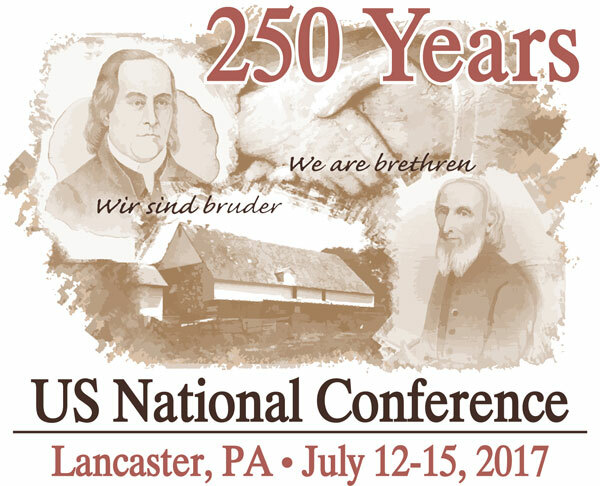 You can now register for the 2017 US National Conference, which will be held July 12-15 in Lancaster, Pa. This will be a historic gathering, as we celebrate our denomination’s 250th anniversary. Meetings will be held at the Lancaster Convention Center in downtown Lancaster, a gorgeous facility completed in 2009. It is the largest and newest facility we have yet used for a national conference. Our hotel, the Marriott at Penn Square, is integrated into the convention center. The hotel cost is $125 per room, per night. You can ONLY get that rate through the conference registration process. Registration begins at 3pm on Wednesday, July 12. The opening service starts at 6:30. Each evening service–Wednesday, Thursday, and Friday–starts at 6:30 and is followed by a reception. The business meeting will be held 8am – Noon on Thursday, July 13. Among other business, a bishop will be elected. The concluding service will be held Saturday morning at 9:00. The bishop elected on Thursday will speak. Afternoons are being kept free for excursions to UB historical sites and visiting the numerous attractions in the Lancaster area. The Lancaster area is a great vacation spot. You’ll find a lot to do: amusement parks, outlet malls, live entertainment, craft shops, buggy rides, museums, art galleries, and much more. In early February, Bishop Todd Fetters, National Ministries director Mike Dittman, and Global Ministries director Jeff Bleijerveld visited three United Brethren churches in Illinois. Their first stop was Claytonville, where six met at the church for a carry-in dinner. This congregation has been ministering in this community for more than 100 years. Joseph Abu, a Sierra Leonean who now pastors a UB church in Philadelphia, served this rural church as a student pastor in the 1980s. Hazel McCray, executive secretary of the Women’s Missionary Fellowship 1977-1993, came from the Claytonville church. The next day they traveled to Rockford, Ill., where they met with 19 persons from the Kilburn Ave. and Coleta churches. In both meetings, they shared our three enduring commitments: Gospel, Unity and Mission. They also heard from those attending what they were celebrating and how they were being challenged. On February 20, 1865, Henry Becker joined the Ohio 188th Volunteer Infantry. The Civil War ended on April 9 with the regiment seeing no action. However, by the time the company was mustered out in September, 45 men had died of disease or accidents. Becker contracted an intestinal malady that afflicted him for the rest of his life and required two surgeries. The best treatment was to remain physically active, so he did. Becker was converted in 1868 and the next year became a United Brethren preacher in Ohio. Five years later, he was sent to the West Coast as a missionary. He started out pastoring in Washington and Oregon, and then pastored in California 1878-1889. In 1888, Becker took a three-month trip through Great Britain, Europe, the Holy Land, and parts of Africa. He wrote extensively about the trip, and for many years afterwards spoke about his travels. When the denomination split in 1889, Becker joined Milton Wright to start what was basically a new denomination–the United Brethren church of today. Becker was among the four persons elected as bishop in 1889. However, he served only four years. He was re-elected in 1893, but promptly resigned, probably for health reasons. After his term as bishop, Henry Becker became an accomplished magician as a way to discredit spiritualists, who said they could communicate with the dead. He was even elected president of the Anti-Spiritualist Association of America in 1897. It’s unclear what exactly happened, but around 1905 Becker was removed as pastor of a UB church in Chambersburg, Pa., and spent the next 20 years pastoring in the Presbyterian Church. It was said that he never again entered a United Brethren church. He passed away in 1934 in Dayton, Ohio.